Group chats can get out of control. One minute you're in the middle of a thoughtful debate, the next minute everybody is sending gratuitous stickers and emojis like nobody's business. If you're at work or school, this can obviously get a little frustrating as your notifications fill up, even with your iPhone on silent. Luckily, there's a simple option — leave the group. If it's an important conversation thread you need to stay in, I'd suggest you just hide alerts for it so you don't get bombarded with unnecessary notifications. Otherwise, what's stopping you from just leaving? If you never wanted to be included in the group thread anyway and don't plan on participating, they probably won't miss you. 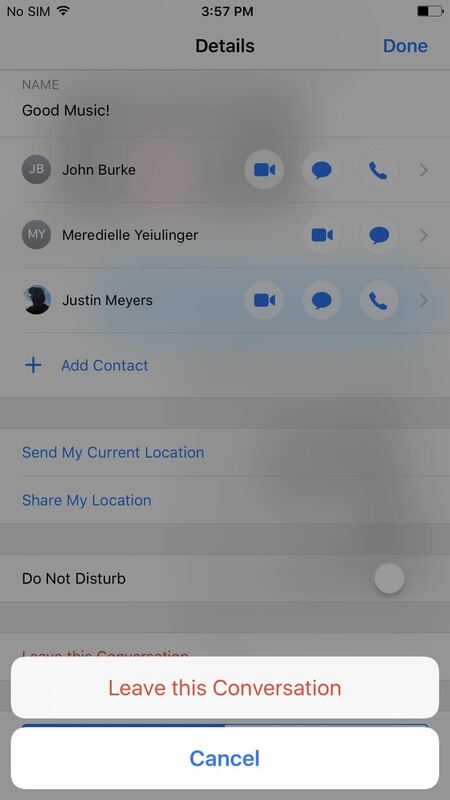 However, you can't just leave any group conversation in the Messages app on your iPad, iPhone, or iPod touch. This only applies to iMessage group threads. If someone in the conversation is using SMS or MMS instead of iMessage, such as an Android user, then you have no choice but to be stuck in the conversation. In that case, again, I would recommend hiding alerts. Now that you understand that, let's get to leaving group chats in iOS 8 or higher. 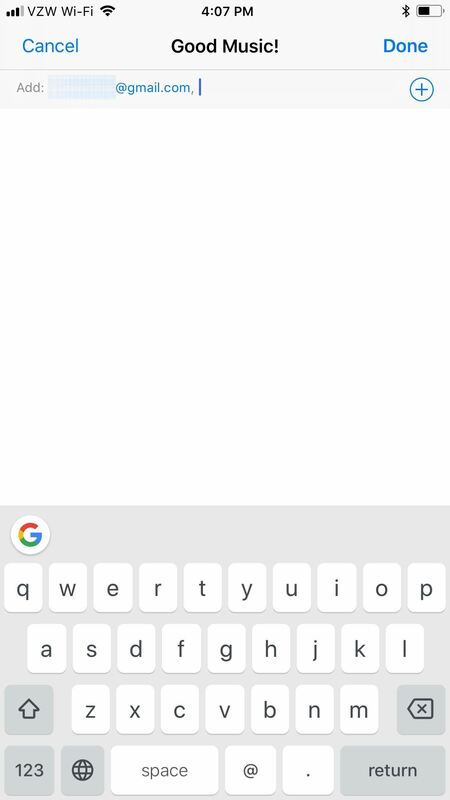 To do so, just open the conversation thread in the Messages app, then tap on the "i" (info) button or "Details" button in the top right, depending on which iOS version you're running. On the next screen, tap on "Leave this Conversation" above the Images/Attachments section, then tap it again on the confirmation prompt. 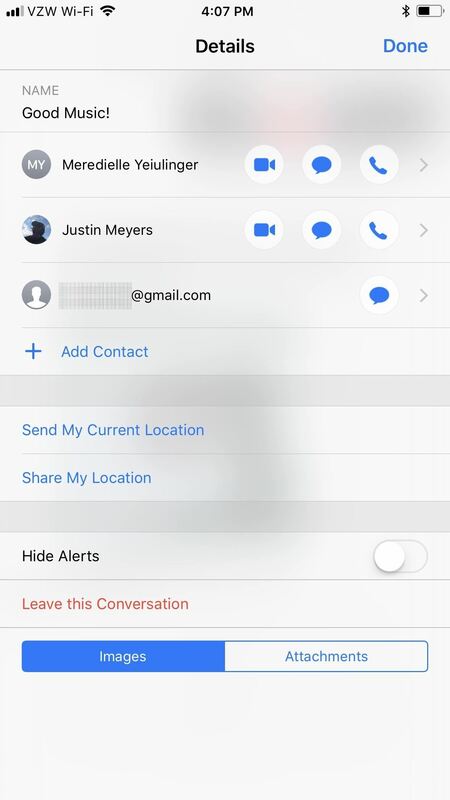 If you don't see the "Leave this Conversation" option, someone in the discussion is not using iMessage, so you won't be able to get the hell out. If you see the option but it's grayed out and you can't select it, this means that there are only three total participants in the group thread. For some reason, Apple never made it possible to convert a three-person group iMessage conversation into a simple person-to-person iMessage thread. Weird, I know. 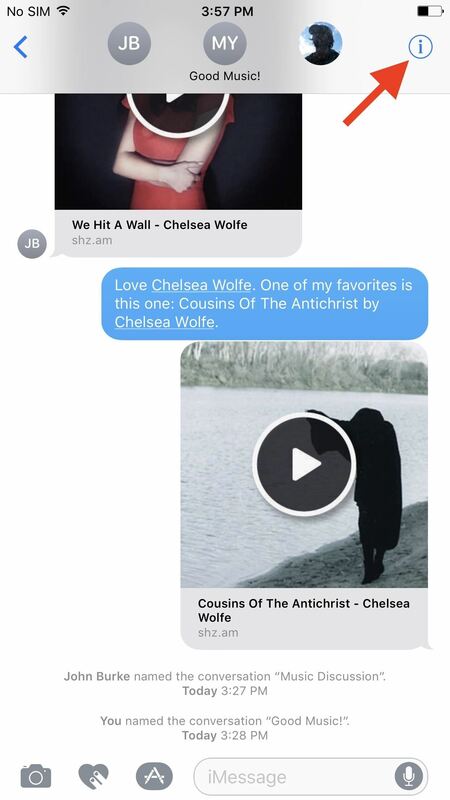 Maybe there will be a fix for this one day, but until then, there is a workaround ... you just have to throw one of your other friends under the bus. 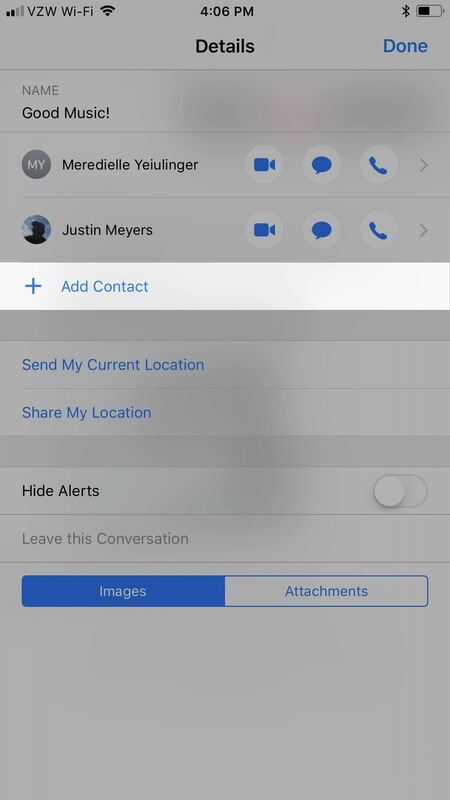 Go back to "i" (or "Details") in the top right of the group conversation, then tap on "Add Contact." 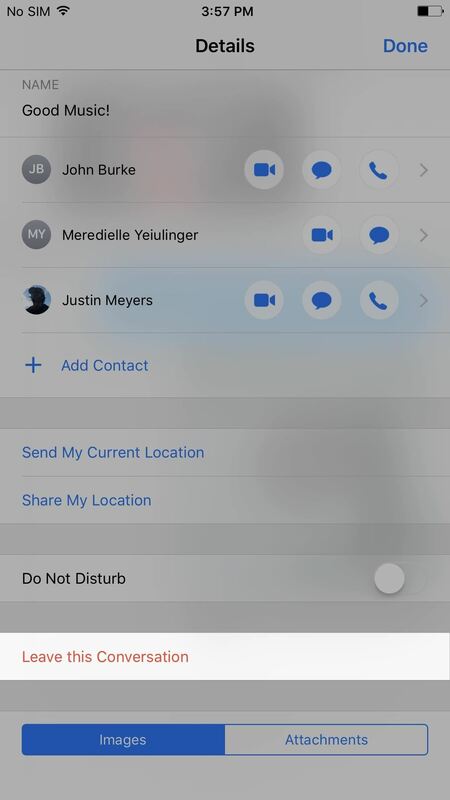 Add someone that would be better suited for the group chat (it has to be a phone number or email address associated with iMessage), then hit "Done." Now the "Leave this Conversation" option will be un-grayed and you can make your quick exit and laugh all night long at the sucker you just switched places with.